Don’t you sometimes wish to sing along to your favorite tunes? Or check whether you’ve been understanding the lyrics correctly so far? If your answer is yes, you’ve landed on the right page. I’ve noticed that a lot of people try and lip-sync to the latest tracks but fail miserably; and its hilarious to watch! Yes, that has happened to me as well. There are times when I hear a song and end up loving it so much that I play it on loop, and yet, I never seem to get the words right. I sing as per my comprehension and then it turns out, the singer was lining out something completely different. Funny right? I literally used to take print outs of lyrics when I was younger just to be able to sing along. Now, with hundreds of songs being released every month, its a bit hard to keep up; especially those rap songs! But you know, mobile-tech has advanced by miles, and there’s finally a way to see the lyrics while listening to music rather than than using a primordial method like I did. Whether you’re a casual music lover or a professional karaoke singer, we’ve rounded up the top-rated music player apps that you can use to not only play the hottest tracks but also get the lyrics. Musixmatch is probably the most popular app in this category; and if I had to pick just one, this would be it. The app boasts of the most extensive catalog of lyrics that can be integrated with other music streaming apps like YouTube, Play Music, Pandora, Apple Music, SoundCloud, and Spotify. Aside from offering lyrics, Musixmatch also helps you to translate songs into more than 60 languages. A few of its other features include real-time notification to fetch the “Floating Lyrics” widget, “Smart Seek” to quickly look-up lyrics, sharing song lyrics using “LyricsCard”, and use playback options even on a locked screen. It also offers additional features such as offline lyrics and no ads, but you’ll have to upgrade to the premium version to access them. Note that Musixmatch is compatible with Chromecast, iOS and Android devices including Android wear devices. Recently, we have also shared many apps to download free music. Lyrics Mania is another great music app with lyrics, boasting of an excellent rating on both, the Play Store and the App Store. This app comes with millions of song lyrics that you can discover just by keying in the song title/artist in the search bar. As with other music player apps (with lyrics), Lyrics Mania also allows you to play your favorite songs, extract lyrics in real-time while you’re tuned into the music, and translate songs into other languages. Moreover, it works across music apps like Spotify, Apple Music, Google Play Music, and Amazon Music. Remember to turn the “Device Broadcast Status” option on when using Spotify. One of its key features (and my favorite) is MusicID. This feature enables you to identify songs playing around you within seconds, and fetch accurate lyrics for the same. Lyrics Mania is supported on iOS as well as Android platforms. The only downside that we stumbled upon was ads; tons of it! You may also like these music maker apps for Android. Though a relatively lesser known music app, Quicklyric is rapidly making its place in the hearts of millions of users around the world. It sets itself apart in that it claims to solve the problem of performing a manual search upon playing a new track every single time. With Quicklyric, you can get lyrics instantly using the “lyrics finder”. Moreover, this app let’s you store song lyrics to be able to view it offline while also supporting synchronized lyrics (especially useful if you’re into Karaoke). 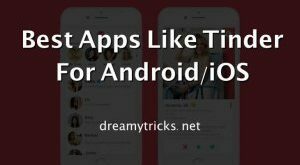 A few other features include song identification using mic, downloading capability across services like Play Music, Spotify, and the like, floating lyrics widget, stunning themes, night mode, ad-free experience, and Android wear support. Note that the last couple of features are only available on the Premium version. Quicklyric is supported on a wide gamut of streaming platforms including Napster, PowerAmp, Rocket Player, VLC, GoneMAD, Spotify, Google Play Music, Phonograph, Shuttle Music Player, and more. The only disadvantage is that it isn’t available on the App Store. Also check out best sites to download full music albums for free. Genius is yet another brilliant app that is comparable to the likes of Musixmatch and Lyrics Mania. It features over 1.7 million songs that you can discover as per songs, artists, or categories like “What’s Hot on Genius”. Apart from lyrics, Genius also boasts of the Genius Community, where you can explore the music microcosm, filled with knowledge and information that is crowd-sourced from the fans themselves. Recently, the app also introduced a feature that allows users to retrieve lyrics for the music that plays around them and simply hold your phone up close to the source of music, by tapping the soundwave button. You can also match song lyrics with your music library and playlists on other services like Soundcloud, Play Music, Spotify, and Pandora. Although Genius does work offline, this aspect still needs a lot of improvement as users encounter frequent crashes and freezes. That said, Genius works on not only Android but also on iOS devices. Its also worth noting that Genius doesn’t work as a music player. Rather, it is mostly meant to get lyrics and will also show up videos if you search for songs manually. Developed by ESTsoft Corp., ALSong is an upcoming music player with real-time lyrics (even on a lock screen) of over 7 million songs. 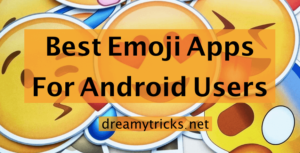 Some of its key features include an efficient sync lyrics function, auto-save to play without an internet connection, floating lyrics, manage playlist, send and receive medial files using the file toss option, timer, and language. In addition to this, ALSong also shows you a daily chart (regularly updated) so you can listen to the latest hits without having to search for them manually. Its SongSong Mobile service is a free music player that supports various audio formats including mp3, wav, mod, ogg, flac, and wma file playback. If you’re all about quality and a clean interface rather than the quantity of features then Lyrics Grabber is worth checking out. As with other apps listed here, this app also allows you to view lyrics of songs that you have already downloaded on your device. Although it lacks advanced features such as those that you get with Musixmatch, it shines as far as ease of use and neatness is concerned. Lyrics Grabbar can identify songs as soon as you launch the app and have a song playing. Users are also permitted to contribute lyrics themselves and help fellow users in case they don’t find lyrics to certain songs. The app takes up very little space on your phone and still does the job. A major drawback of this service is that it isn’t available for iOS users. Furthermore, it isn’t officially listed on the Play Store. Instead, you’ll have to download the APK file using the link mentioned below and install the app on your phone after ensuring that you have given permission to install apps from “unknown sources”. Note that enabling this option may pose a threat to your device. Branded with the tagline, “Music Lyrics for Fans, by Fans”, Lyrically is quite a decent app powered by Lyric Wikia. It is available officially on both, Android as well as iOS devices, for free. You can use this app to get lyrics for over a million songs. The cool thing about this service is that the lyrics are all submitted by the users themselves. Lyrically supports a wide array of 3rd party music player apps such as Google Play Music, Pandora, Spotify, Deezer, Apple Music, and Rdio. You can discover song lyrics as per filters like Top tracks, artist name, or song titles. To add, updates will be auto-synced to the app so you can be rest assured of an up-to-date music library. All the good features aside, its worth noting that users have often complained that the app fails to identify songs and displays lyrics of the wrong artist. However, this is bound to happen because the lyrics are user-generated after all. All the apps mentioned in our list can be downloaded, installed, and used for free. However, majority of them do contain ads so if that is going to be a huge put off for you, we’d recommend that you upgrade to the premium versions from within the app. There are a few other apps that we decided to skip such as Metrolyrics (for iOS). That is because they’re not as polished as the ones mentioned above. Having said that, you could still give it a try and let us know your favorite one in the comments down below!